Welcome to the south of the Metro. 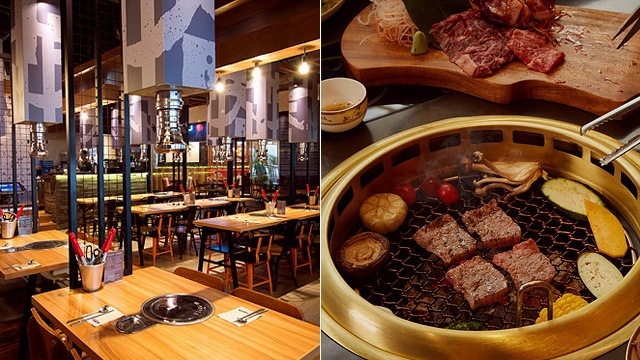 (SPOT.ph) Not all K-barbecue places are created equal. In the south side of the Metro, specifically Alabang and Parañaque, there are good places, and then there are really good places—you just have to look a little bit harder. Lucky for you, we’ve rounded up some of the best ones in town for when your samgyupsal cravings strike. We’re completely blameworthy if this list makes you hungry. 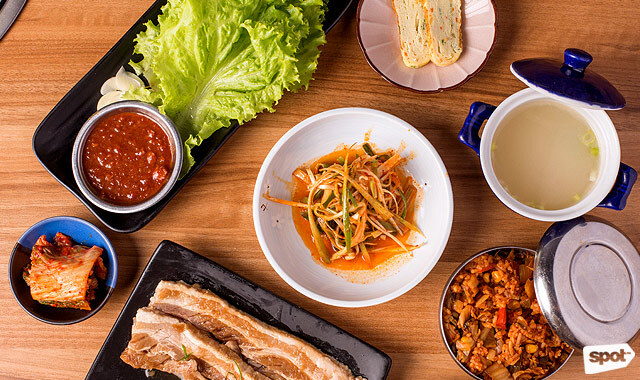 Though their barbecue offerings are good, it seems that the star at Soban K-Town Grill is their wide assortment of banchan, which aren’t only tasty, but refillable, too (hello, unlimited kimchi)! For solo diners, you might want to sample their BBQ Grill Sets for Solo. A great option would be their Dak Galbi Solo Set (P325), which comes with 120 grams of grilled chicken and unlimited banchan. The Classic BBQ Combo Set (P2,000), meanwhile, is already good for three to four people, and includes hefty platters of beef belly, pork belly, and boneless fried chicken, along with eat-all-you-can sides like japchae, kimchi fried rice, and gimbap (or seaweed rice roll). This is the place to go to if you and your friends are in the mood for some good-quality Korean food. Soban K-Town Grill is at Retail 6 ATC Corporate Center, Alabang, Muntinlupa City. 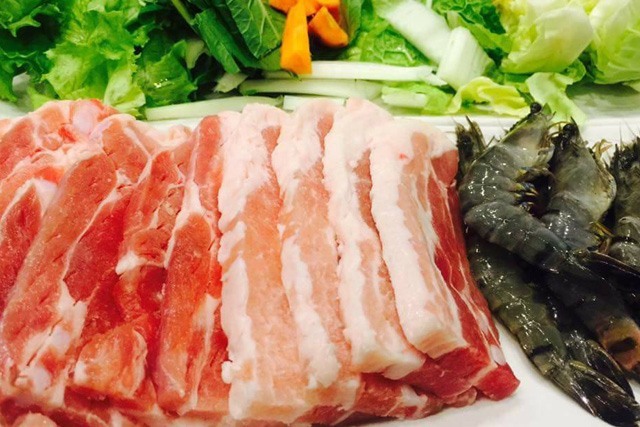 Yoree, which means “to cook” in Korean, has been dishing up excellent Korean barbecue since 2013. Their smokeless grills make for a more enjoyable experience if you don’t want to smell like a smoke pit as soon as you step inside. You’ll find the usual Dak Galbi (P348) and Samgyeopsal (P398) here, which the waiters will cook for you if you just want to sit down and eat. But we also dare you to go for more exciting à la carte dishes such as the Cheesy Dak Kanjeong (P798), or sweet-spicy fried chicken served with mozzarella and cheddar cheese; or the Cheesy Buldak (P798), a similar but spicier dish minus the sweetness. 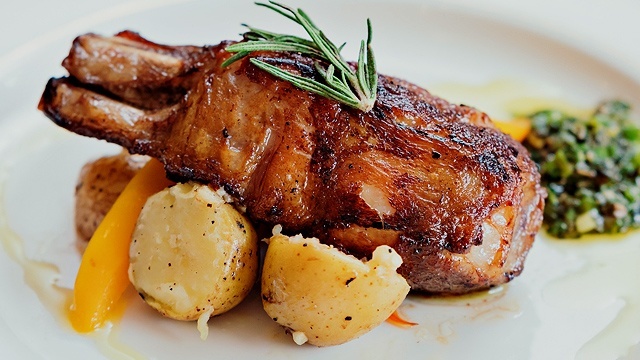 Though there are no all-you-can-eat deals at Yoree, you’re sure to get top-quality meats here. Yoree is at Molito Commercial Complex, Alabang, Muntinlupa City. This restaurant had us at unlimited samgyupsal. 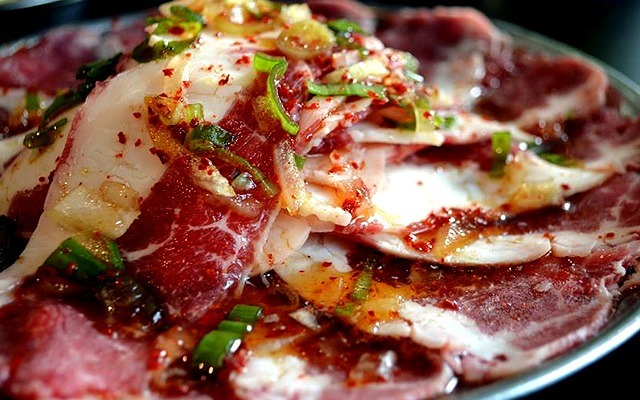 If there’s one thing that Filipinos can’t live without, it’s meat—and this Korean-barbecue joint definitely knows what to put in the limelight. Those with big appetites would love Samgyupsalamat’s value-for-money offerings, like their Unlimited Pork (P399), which come with five kinds of pork and eat-all-you-can soup and side dishes if you dine here between 11 a.m. and 3 p.m. As with most buffets, you’re not allowed to take home any leftover food so it’s best to go there with an empty stomach. Whatever the case, your tummy will surely say “thank you” for the good eats! Samgyupsalamat has branches at G/F C&C Business Center, 235 Aguirre Avenue, BF Homes, Parañaque City; and G/F Cinema & Entertainment Complex, Alabang Town Center, Alabang, Muntinlupa City. The diner is popular for their unlimited set offerings that won’t burn a hole in your wallet. A set typically starts at P599 and includes all-you-can-eat samgyupsal and woo samgyup, shabu-shabu, shrimp, rice, and Korean side dishes. Pro tip: You can also request for a free Korean ramen add-on, or a free Melona ice cream on your way out. 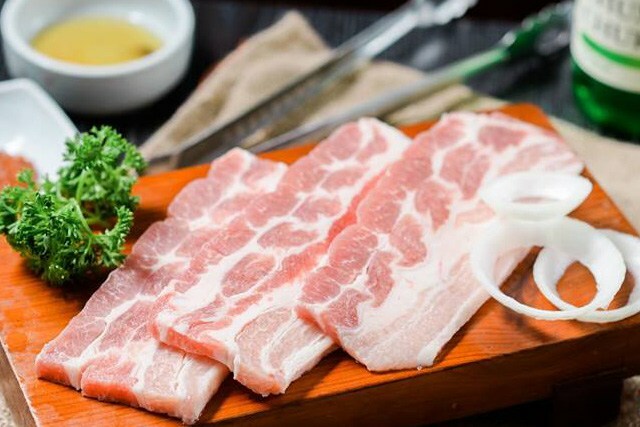 Although you might need to wait in line during peak hours, their pork-belly slices are thicker than what you’d usually get in buffet restaurants, which is already a plus in our book! All4u Unlimited Grill & Shabu-Shabu is at G/F Festival Mall, Filinvest, Muntinlupa City. 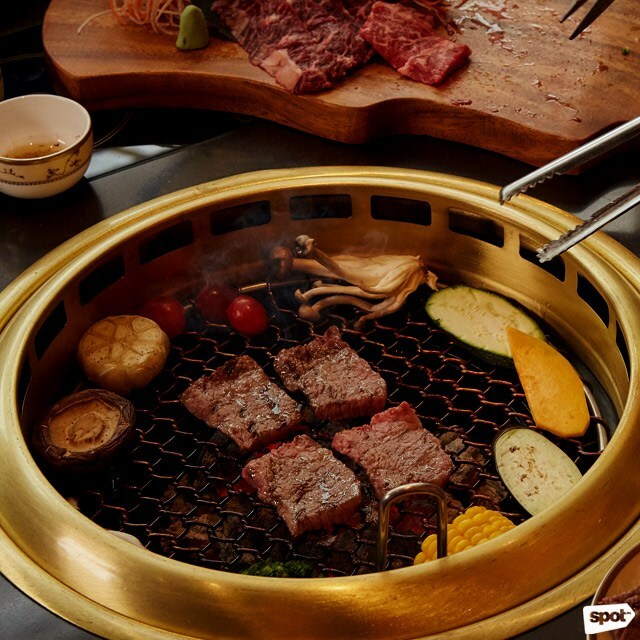 What sets this Korean-barbecue restaurant apart from the rest is it uses real-copper grills and charcoal that’s made from coconut and palm sourced from Davao. Discerning diners will realize that these factors add a subtle smoky flavor to the protein when grilled. While here, it’s essential that you treat your palate to their best-selling Samgyupsal (P350). To get the complete sensory experience, don’t be shy to use your hands—wrap the meaty morsels, rice, green onion, and gochujang in lettuce and Korean sesame leaf and eat everything in one bite! You’ll be scheduling another trip here in no time. A-Won is at 2/F Commercenter, Filinvest, Muntinlupa City. This no-frills Korean joint gets pretty packed fast and for good reason: Affordable unlimited Korean barbecue. Not only is dining here cheap, but you know you’re getting the freshest cuts since it also doubles as a meat shop. People come here for the Unlimited Samgyupsal (P299), Unlimited Beef (P599), and Unlimited Samgyupsal + Short Plate (P380), which are all served with sides that you can refill for up to three times. Their small space can’t always guarantee you a table, but it’s okay since you can still satisfy your cravings by buying some fresh protein to cook at home! 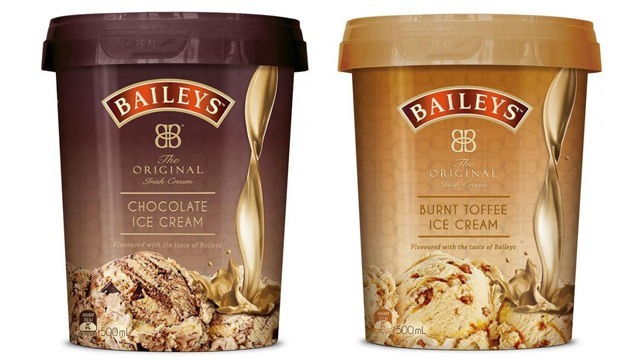 As for the sides, you’re in luck because there’s also a Korean grocery next door. Sing Sing Restaurant is at 268-A Aguirre Avenue, BF Homes, Parañaque City. Even though Jang Ga Nae isn’t a buffet restaurant, you’ll be satisfied with their traditional Korean dishes that will make you feel like you’re part of your favorite K-drama. Don’t miss out on their signature cuts like the Wu Sam Kyup (P450), or grilled beef belly, or its pork counterpart, the Sam Kyup Sal (P300). Just a little heads up, though—if you want to do the grilling yourself, you might want to order at least two protein choices. Otherwise, the barbecue will be served cooked. Jang Ga Nae is at 237 Aguirre Avenue, BF Homes, Parañaque City. You’d think that an in-house hotel restaurant would be very expensive, but Grami Korean Restaurant defies that. Get a plate of Korean-style grilled pork belly, marinated pork barbecue, or grilled porkloin for only P300. But you’ll get the best bargain if you go for the unlimited pork and beef for just P389, which includes unlimited side dishes, rice, and soup. It’s best to book a table before coming here as it tends to get quite busy especially during dinner time! Grami Korean Restaurant is at G/F Grami Hotel, Dr. A. Santos Avenue, San Antonio, Parañaque City. Samgyupsal House is fairly new to Parañaque’s Korean-barbecue scene. Offering only set menus when it opened in 2017, the restaurant recently joined the buffet bandwagon and K-barbecue fanatics around the area couldn’t be more excited. 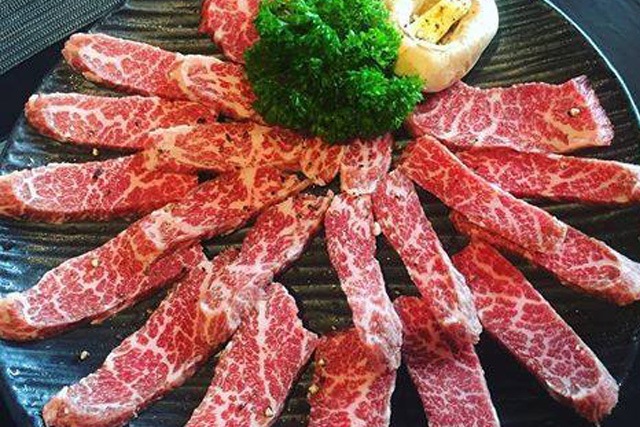 Get your protein on with their Unlimited Sampgyupsal (P349) and Unlimited Beef (P400). Either one comes with various side dishes, rice, and iced tea. Go for their popular sets if you’re coming with your friends, or if you and your date are extremely hungry—their beef set, for example, gets you a generous serving of chadol for up to three hungry people, refillable plates of greens, appetizers like japchae and kimchi, three cups of rice or one big bowl of ramyun, and three complimentary beverages. Samgyupsal House is at G/F VTP Prime Building, 251 Aguirre Avenue, BF Homes, Parañaque City. Looking for a more upscale Korean-dining experience? Goryeo’s elegant interiors and stylish décor feature luxe art pieces and fabrics inspired by South Korea’s royal past. Combine it with their cool smoke-free grilling technology, and you’ll have a very unique K-barbecue meal. 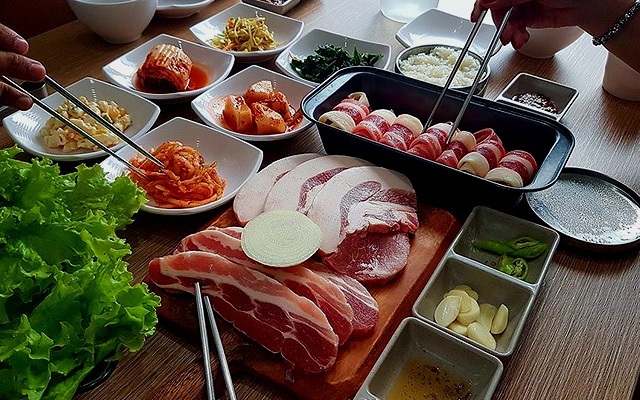 Indulge in their grilled specialties such as crowd favorites Samgyupsal (P650), the Assorted Special Beef Set (P2,900/300g), or the Assorted Special Pork set (P1,500/300g), which all come with generous side dishes prepared fresh daily by their Korean chef. But if you arrive between 11 a.m. and 3:30 p.m., you can even catch their Lunch Set (P600) that comes with a much lower price. It includes six kinds of banchan, your choice of main dish (we suggest you get their hard-to-resist beef bulgogi with assorted mushrooms), and their homemade milky ice cream. Goryeo is at UG/F Restaurant Promenade, Okada, New Seaside Drive, Entertainment City, Parañaque City.